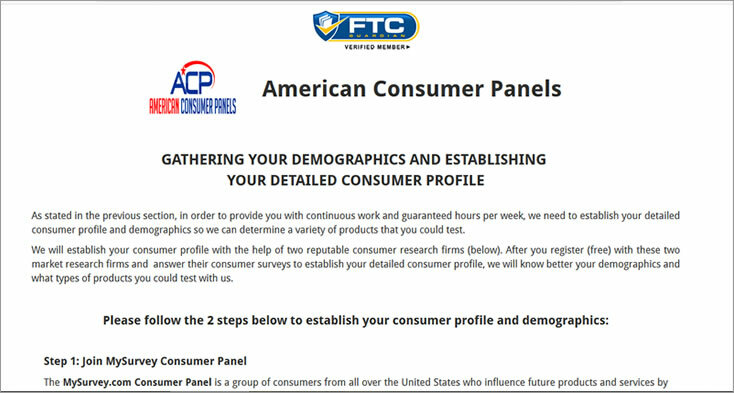 We spent many hours researching and writing this American Consumer Panels review. It is our hope that this American Consumer Panels review will help you determine if this company is a scam or legit opportunity. What Is American Consumer Panels? American Consumer Panels provides product testing and product development for consumer products. They work with a variety of companies to gather feedback on their products. They do this through In-Home Usage Testing by using their product testers recruited from their website. What Companies Use American Consumer Panels? and a host of other companies as well. How Does American Consumer Panels Work? American Consumer Panels hires in house product testers to provide feedback on products. Anyone can apply to become a product tester. 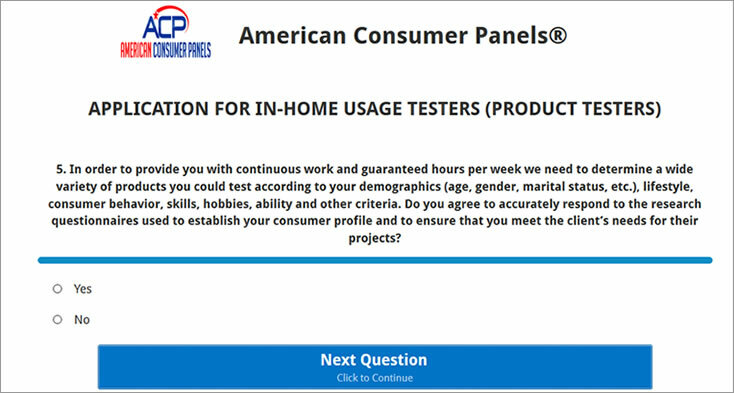 You can apply to be a product tester from the American Consumer Panels website. There is no cost to apply. The application process starts with a detailed consumer profile. You will go through a series of consumer research questionnaires. This will help build your profile to determine which products you may be able to test. Once you create your profile, consumer research companies will build your detailed profile. You may not hear back from American Consumer Panels right away. If you do not hear back within 3 weeks, it may mean your profile has not matched any projects. Not all applicants will be hired. If you do not hear back after 3 weeks, it could mean you were to accepted into the program. What Happens After You Qualify? Once you qualify to become a product tester, companies will send you products to test at home. You will need to complete surveys and questionnaires to provide feedback on products. These will go back to the company as market research. This helps them understand what things they need to do before they go to market. Once the product testing has ended, you will get paid. You will need to sign and send back non-disclosure agreements. You must do this before products the company send the products. When you receive the product(s), you must take care of the products and use them carefully. You will need to document your in-home usage. This may include audio recordings, videos, journals, and photos. Attend Skype meetings or conference calls. This happens 2 to 3 times per week and you get paid by the hour for this as well. You may need to use “MFour’s Mobile In-Home Use Test Technology” for some projects. You can do most product testing will at home. Occasionally, you may need to visit the client for training. You will also get paid for this by the hour. There may be times when you must chat in a private chat room. The market research group will run the group. 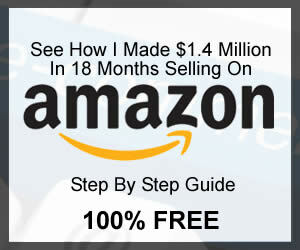 You will may be required to write reviews and possibly do a video review using the product. How Much Money Can You Make As A Product Tester? According to their website, product testers will make from $25 to $45 per hour. This depends on the project. They also guarantee that you will work 15 to 20 hours per week. This is a part time position. You will get paid after you complete each assignment. Payment will be by check or direct deposit. To help us in write this American Consumer Panels review, we scoured the internet. We were looking to see what other product testers had to say about this company. The only place we could find product testers posting an American Consumer Panels review was on Glassdoor.com. At the time of this writing, Glassdoor.com had 64 people who posted an American Consumer Panels review. The overall rating was a 3.6 out of 5 stars at the time of this writing. Several product testers that posted an American Consumer Panels review called it a scam. Their main complaint was they did not get projects as promised. Instead, they received surveys from companies asking for surveys with rewards. American Consumer Panels gave the info to these companies. Other product testers said that all the company wants is your info so they can then spam you. So the consensus by those that left an American Consumer Panels review is that it is a “scam” and they “spam” you. To put this American Consumer Panels review to the test, we applied to become a product tester on February 21, 2018 and again on November 13, 2018. After we completed the short questionnaire, we came to a page where we had to join two survey sites. The page said “Join MySurvey Consumer Panel” and “Join Vindale Research Consumer Panel”. We are still not sure why we had to join this two survey sites. According to the ACP website, the purpose of signing up for these survey sites is to establish our consumer profile. So we joined both survey sites and received emails from both sites to activate our accounts. We then received invitations for surveys but nothing from American Consumer Panels. This opportunity sounds like a great way to make some extra money from home. Who wouldn’t want to make $25 to $45 per hour testing products? Is American Consumer Panels A Scam Or Is It Legit? While we would like to see this is a great opportunity, from what we have seen so far we have to reserve judgement. The vast majority of complaints are the same. Most say this company does nothing more than get your info and spam you. Their website does say they’re a verified member of FTC Guardian. This means they should follow the Federal Trade Commission truth in advertising. From what we have learned so far, we cannot give this company a green badge. We may change our verdict once we gather more information. If you want to take the chance, you can apply to become a product tester. There is nothing to lose. You may get a few unwanted emails, but you may also find this company does allow you to make money. Please comment below if you have experience with American Consumer Panels. So over the last weeks since we applied to become a product tester, all we have seen is spam emails from the two surveys sites they said we must join. The two sites are MySurvey Consumer Panel and Vindale Research Consumer Panel. We are confident now that the purpose of signing up for these survey sites is to get American Consumer Panels an affiliate commission for referring us. Basically an affiliate commission. There have even been emails from job sites that American Consumer Panels say it would be good if we join. These too seem to be sites that American Consumer Panels is an affiliate for. So, while we cannot say this is a scam, from what we can tell their whole purpose is to get you to sign up for survey and other sites to help make affiliate commissions for American Consumer Panels . We may be wrong on this. There may be people that are making money. However, we could not find them. We ourselves never received anything from the company but spam emails. At this time we say to BE CAUTIOUS OF THIS COMPANY. 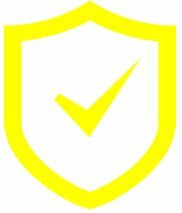 There is no risk to sign up as long as you’re ok with receiving many emails. Prizerebel Review – Is This A Prizerebel Scam? Great review. I just saw their listing, thought it looked too good to be true. Thanks for such a great thorough breakdown. You’re welcome Maria! Glad this helped you! I went to their website to get started with application employment process. I had a feeling I should google their reviews before putting my personal info in. I am glad I did. So I will not go further. Thank you. Thank You for the heads up… sad thing is I heard about them on LinkedIn- a place where many go to find and post jobs… sad that they can pull this off being they are supposed to be FTC guardian .. When American Consumer Panels came up in a jobs search I am undertaking, I was admittedly intrigued. But my BS meter remained on high alert so I went looking for additional information and came across this review. Thank you for this. I wanted to share some additional findings with you, and ask you to pass these on only if you should see fit. Furthermore, I found a current LoopNet listing the suite American Consumer Panels designates as theirs. It is my opinion that together, these findings along with yours, designate the company knows as American Consumer Panels as a less than ethical source of jobs, of income or of any other kind of information. Again, many thanks for your review!! I too decided to check this out by coming to the reviews first. As a Senior I am looking for a part time job to supplement my income so I can afford my meds. After reading the online reviews on several websites, I will continue to look elsewhere. Unfortunately as a Senior I am being deemed unemployable by most company’s. I too was looking for a OT job tomsupplenent my income because of high cost of meds. I am a diabetic and the cost of insulin is outrageous. Thanks for this review and comments. I will steer clear of filling out the profile. I don’t need the agrivation I’d spam emails. Very hard to fiend legitimate PT work. Age discrimination is alive and well. I am so glad you do this work. Thanks to your information I decided to save my private information and not get into the spam-system. We desperately need more of you. same with me. Got the page asking to sign up for something else (I guess the survey) and that’s when I thought, better look up this company! Thanks a lot for the very good review. Same here! I am just leery of any job site opportunity that wants to make a personal profile from my daily activities, wants and needs; yuck meter flashing HIGH!!! It seemed to be exactly as you fear: a clever way for them to gather demographic info on us. Thank you so much for your research and precise information. It is invaluable! My experience was exactly the same as VettedOpps. Hoping for a work at home job analyzing products, all I got was referrals to 2 survey companies that I had to sign up with. This is a SCAM all the way, and the FTC should put them out of business, along with the survey companies they’re in cahoots with. Sorry to say I didn’t pay attention to my BS meter. So my only question is how do I remove myself from the sites?? I don’t want my info shared. There should be unsubscribe links at the bottom of any email you get from these sites. 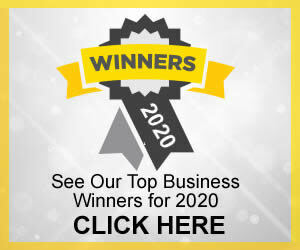 Click that to take you off of their email lists. You can also do this to get off the American Consumer Panels email list if you still get emails from them. Why doesn’t anyone file a complaint with the FTC under job scams because that is exactly what I plan to do. It’s a shame companies like these are allowed to take advantage of so many, especially those of retirement age simply trying to supplement their income so they can purchase much needed medication. Most likely no one ever files any complaints because in reality, all the company seems to do is to get you to sign up for survey sites and then send you emails. There really not much you can lose except some time and irritation. That being said, there may be people making money from this. Members of our team signed up three times and each time was the same. Signed up using the American Consumer Panels application, and then were directed to sign up for survey sites. Each time our team received emails from survey sites but never heard anything about product testing from ACP. Each time we then emailed them to ask why and they would come back with the exact same canned response. So all we can assume is that either it’s tough to get approved by them for product testing or no one ever really gets approved to do product testing. They say people do get approved but we have not seen it ourselves. Thank you for all this information. I found it on Glassdoor and hoped it was a real job . Glassdoor should not be able to list this and as a result I will not use Glassdoor to look for a job.